Man Utd have been tipped to complete the €50m signing of Shakhtar Donetsk midfielder Fred, addressing a crucial area of Jose Mourinho’s squad. With Michael Carrick now retired, the Red Devils have yet to make any official announcement on the future of Marouane Fellaini, with the Belgian international’s current contract set to expire this summer. As noted by Sky Sports, he’s expected to leave Old Trafford rather than pen new terms, and so should he follow Carrick out of the playing squad, it will potentially leave a major hole in Mourinho’s midfield. 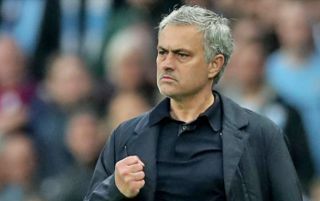 That would leave the Portuguese tactician with Paul Pogba, Nemanja Matic, Ander Herrera and Scott McTominay, and for a club looking to compete on various fronts, that’s surely not enough quality and depth to bridge the gap to champions Man City and make an impression in Europe simultaneously. As per Sky Sport Italia and The Guardian’s Fabrizio Romano, as seen in his tweet below, which follows on from Gianluca Di Marzio’s earlier report that a €50m deal had been agreed, it’s suggested that the deal is advancing with Fred set for his medical and to sign his new contract ‘soon’. The 25-year-old Brazilian international has spent the last five years with Shakhtar, making 156 appearances for the Ukrainian giants and helping them to three league titles. A powerful and agile presence in midfield, he could now be the ideal piece to add in that department to allow Pogba to flourish in a more attacking role. While we await official confirmation, it sounds as though Man Utd are very much closing in on their first marquee signing of the summer as per the reports.